These days I spend free moments here and there reading blogs by other adoptive moms. My favorite is called "A Bushel and a Peck." 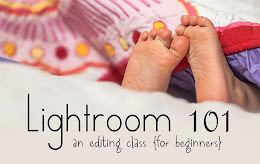 Today, the author, Lisa, invited a friend to write about honoring the birth cultures of our adopted children. I love the things that Lisa's friend shared. (FYI - Lisa's friend has both biological and adopted kids and her family lives and works overseas.) Here are her thoughts on the subject. …to the extent you can do so in good faith. We take the approach that culture is something to be celebrated. Just because something has “pagan” roots or comes from a culture that isn’t Christian does not mean that it is off-limits. Directly across the street from our apartment building is a large and beautiful Confucius Temple complete with idols, incense, and other worship paraphernalia. The temple grounds also include a beautiful fish pond and shrubbery where I frequently take my children to play. While at the temple, we talk to the kids about the beautiful architect of the buildings, the wonder of God’s creation, and the fact that some people worship gods not in accordance with the Bible. We enjoy the beauty to God and enjoy the talent of man, but draw the line at burning incense to statues and participating in other idol worship. This is an example of how we are able to incorporate culture into our lives without compromising the truth. However, we have friends who feel that being on temple grounds is wrong, so we would never ask them to go with us or do so ourselves if it caused them to stumble. Thought 2: Be cognizant of how you assign value. Our oldest son takes Tae Kwon Do lessons here where we live. It is not only culturally fitting but it has allowed us many inroads to share our faith with others who believe differently than we do. At one point, another foreigner warned me that pagan ideas might be taught during the classes and I needed to evaluate whether or not it was appropriate for my child to be there. While we found no “pagan” teaching going on, we did discover that people often run from things they fear. By running from cultural differences because of fear, we assign value to those things. We in essence tell our kids “This thing holds power and therefore should be esteemed.” As parents, we all do this and the first step is to recognize where we assign value. The same is true when my children experience discrimination and outright rejection because they are foreigners. If I model behavior that assigns value to what other people think of us and how they treat us, then I am teaching them that the acceptance and approval of people is important. I teach them that their identity is in what others think, not in who God created us to be. Whether it be the concept of meditation or wearing certain clothing or caring what others say and everything in between, we can unconsciously and erroneously teach our children all sorts of false fears and assign value in the wrong places. I try to be aware of my tendencies to attribute false value and instead model that culture is to be celebrated; that we can engage in cultural activities without being un-Christian; and that we don’t have to avoid false religions or intimidating circumstances and people out of fear. It all boils down to the truth that God is the only One who holds real power. Thought 3: Don’t allow fear to make your choices. One of the things I have encountered in the world of parenting and adoption is the thought that our children will be scarred for life if we don’t……(fill in the blank.) 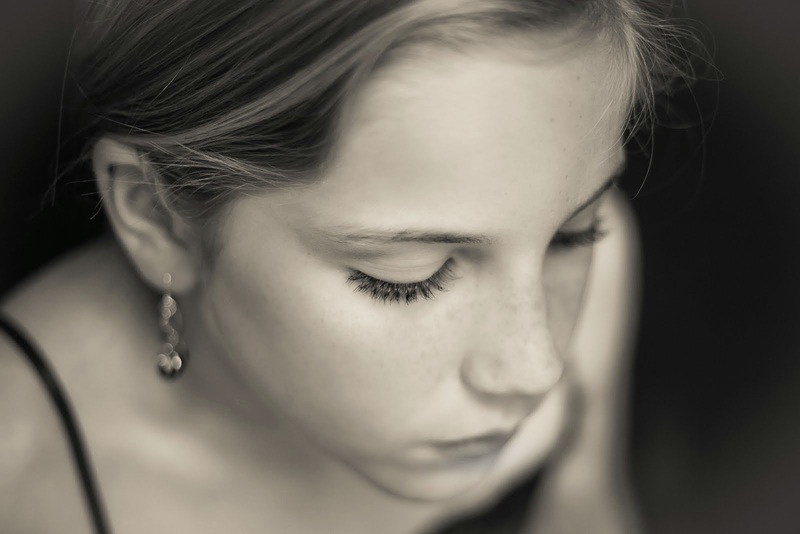 There are a thousand hoops we feel we have to jump through to help our kids turn out okay. There is one simple principle my husband and I try to live our lives by and it applies to this realm of parenting too: Don’t make choices based on fear. Thought 4: Expose all your kids to all cultures. Because we live overseas, we try very hard to teach our children American culture. Sounds weird I know. We celebrate American holidays like Thanksgiving and Christmas, even though they are not celebrated here. But we also recognize the importance of teaching each one of them all sorts of culture and religion. While I homeschooled our son, we used Sonlight curriculum (www.sonlight.com) which exposes children to the world in age appropriate ways. Even though I am not currently homeschooling, we still use the Sonlight readers to keep the world in front of our kids. If we focus on just one or two cultures or pick Chinese culture for our adopted daughter and American culture for our biological children, we believe this singling out is one of those ways we assign value in harmful ways. Thought 5: Help your kids establish their Identity. We see this as really the core issue for all of our children. Since we live in a culture outside of our “own,” each of our children deal with their ethnic identities. Our oldest son has told us that he wants black hair, not blonde, because no one else here has blonde hair. Recent studies show that an adopted child’s ethnicity is an important part of their identity. Okay, so it’s a fact. Ethnicity and culture play a role in who we are. One way I do this is by explaining why we live overseas and telling them frequently that God wants to use them for His purposes, even now. Another way I do this is by prayerfully selecting scriptures for them and in the morning when they wake up I “bless” them with it. For example, with my adopted daughter, I am currently using I Peter 2:9 with her. Although she is only two and a half, she knows whatever it is I’m saying is a good thing! I want my children to know that no matter where they are in the world, no matter what their skin looks like in comparison to those around them, their identity is wrapped up in a Creator God who made them for a very special purpose. He placed them where they are for a special task that only they can do. In the meantime, it is my job to show them that in Him they are chosen, they are nobility, they belong, and they have purpose. And they need not fear! 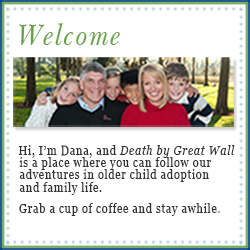 This morning I read the blog of a family who is in China right now adopting a special needs baby. Below is a copy of a message the Dad shared at their home church before the family left for China to pick up their little girl. As a parent with one adopted daughter and soon to a second, I get a lot of questions about why people adopt. Couples not able to have children immediately come to mind, but in addition, many singles adopt who want children and realize that perhaps marriage is not in Gods plan for them. For us it was a complex love of children, a desire for kids in the home, and a realization that perhaps the empty nest wouldn’t be so great after all. What about the process and cost? Well, unless your name is Angelina Jolle or Madonna, international adoption can take years. As adoptive parents we count pregnancies in years rather than months--anywhere from 3 to 6 years is average. Domestic adoptions often can occur much quicker depending on the agency and situation. The paperwork is complex and expensive requiring a well organized person to take charge- such as my wife Jen. I can tell you all about the Hague Convention on Adoption and I can even spell “The Hague.” The cost can be less than a thousand dollars for a domestic adoption and up to forty thousand for an international adoption. I have been fingerprinted by the FBI for background security checks more times than Al Capone. And yes I passed them all. All of this is meant to ensure that the babies get into a good safe home. The other thing I like to think about with adoption is the fact that as believers in Christ we are all adopted into the family of God. If you think about it, my daughter Natalie is in an orphanage not wanting or even aware that she is going to be adopted. How many of us were wanting or aware of our adoption into God’s family when for no reason, before the foundation of the world, God decided to lay his heart on us? Natalie is making no effort for us to adopt her but it will surely happen . As a believer, God’s spirit worked in my heart to pull me towards him even before I knew it. In a moment, Natalie’s life will change forever when we hold her in our arms. Different food, smells, clothes, opportunities all will be hers as she joins our family not unlike what happened to us as believers when we came to know Jesus. She will be a member of our family forever just like those of us that know the Lord are members of His family forever. So, as you think of us on our trip we appreciate your prayers but also I would ask you to think of your own adoption into Gods family. As you run into people who might be candidates to adopt I would also encourage you to suggest they look into it. I can say without a doubt that the blessing of adopting our first Chinese daughter Olivia has been just as much a blessing for us as a family as for her and we look forward to getting our other daughter Natalie in a couple weeks. Thank you.